I’ve blogged previously about the role of the “thin ideal” in Anorexia Nervosa (AN). Conventional wisdom holds that young girls develop AN as a result of excessive dieting in pursuit of thinness, which is considered beautiful in western culture. I don’t believe that the thin ideal causes, or even contributes much, to the development of AN. However, I do believe that the thin ideal delays diagnosis, makes recovery more challenging, and normalizes and trivializes life-threatening symptoms. I had a recent experience with a patient’s family which illustrates the way in which the thin ideal can interfere with recovery from AN. The patient, whom I will call Norah, presented in my office for eating disorder treatment at the age of 17. I diagnosed Norah with AN and began treating her with Family-Based Treatment (FBT). Norah turned out to have a relatively mild, short-lived case of AN (yes, such cases do occur, though they are not the norm), which responded quickly to a brief course of FBT. Within a few months, Norah was virtually symptom-free and doing quite well overall. Her vital signs were good, she was getting regular periods, she no longer body-checked or weighed herself compulsively, her mood had improved, and she ate three solid meals each day with her parents or friends, consuming a wide variety of foods with no resistance. Sounds great, right? There was just one problem: Norah’s weight had plateaued about 5 pounds below the target weight I had set for her based on her historic growth curves. This happened despite the fact that she was eating quite well, not purging, and engaging in minimal physical activity. Many teens in recovery from AN have huge nutritional requirements during re-feeding, so this was not entirely surprising. Besides, Norah had always been petite and naturally thin with a fast metabolism. Most likely, she just needed a lot more food. Norah is a senior in high school who is planning to go away to college next year. I strongly recommended to Norah’s parents that they require her to reach full weight restoration prior to leaving for college, and that they increase her daily caloric intake to help her reach that goal. I explained that full weight restoration and return to normal growth and development are essential to recovery, and I provided them with literature on this subject. Given how tiny Norah is, a loss of even a few pounds would be enough to push her over the edge. In fact, it only took a loss of a few pounds to send her spiraling down into AN in the first place. In order to be well enough to live independently, I explained, Norah needs to gain these last five pounds and learn to maintain her optimal body weight. Upon hearing this recommendation, Norah had a fit. She screamed and cried and lamented the injustice of it all. Why should she have to weigh “more than I’ve ever weighed before in my whole life?” (yes, one whole pound more than her historic high). I was not entirely surprised by Norah’s reaction. Although Norah had been unusually compliant in treatment thus far (and yes, such cases do exist, though they are not the norm), even a compliant anorexic has her limits. Norah’s tantrum was foreseeable. After all, she has Anorexia Nervosa. Of course she would not want to eat more or gain more weight. Plus, Norah is a teenager with big dreams – a high school senior desperate to leave town, escape from her parents’ watchful eyes, and explore greener pastures. The mere possibility that she might not be allowed to go away devastated her. No. Actually, we don’t need to take that into consideration. None of these assumptions are true, of course. But the thin ideal makes these assumptions seem reasonable to parents and pediatricians and therapists and dieticians alike. In an ideal world, these assumptions would always seem ludicrous to sensible adults, regardless of the patient’s size or weight. It should not be considered normal or rational for a teenager of any size or shape to dislike her body and aspire to be thinner. Losing weight should never be seen as a solution to body dissatisfaction, especially when weight loss disrupts normal adolescent growth and development. And requiring a teenager to reach and maintain her optimal body weight should not harm her psyche, regardless of whether her optimal weight lies within the realm of what society considers beautiful. Sadly, we do not live in an ideal world. I am a member of society, just like everyone else, and I’m not immune to the impact of the thin ideal. Norah’s case seems particularly striking to me precisely because her body has always conformed to the thin ideal, and would still conform to the thin ideal after complete weight restoration. Therefore, it seemed particularly dangerous – and ridiculous – not to require her to achieve full weight restoration, because – hey – even at her optimal body weight she’d still be thin. Here’s where the thin ideal colors my thinking. If Norah had been a large girl whose healthy body naturally gravitated towards a higher weight, her mother’s reaction might have made sense to me. If the poor girl had a stocky body type that placed her on the higher end of the growth charts, it may have seemed rational to allow her to stop five pounds short of full weight restoration. Her body dissatisfaction and drive for thinness would have seemed legitimate rather than disordered. I may have “taken into consideration” the fact that Norah “wasn’t happy with her body before.” Mother’s remark would not have changed my recommendation, but it would have given me pause. I’m not proud of this, but there you have it. In response to Norah’s mother’s comment, I reminded Norah’s parents, as I had done at the start of treatment, that they are the leaders of Norah’s treatment team and I am a consultant to them. My job is to use my expertise in adolescent AN to guide them, inform them, and empower them to make the right decisions for their daughter. Along with these explanations, I also acknowledged that any recommendation I make is only as good as the parents’ willingness and ability to carry it out. Ultimately, Norah’s parents chose to reject my recommendation. I suspect that the thin ideal played an important role in their decision. As for me, this situation highlighted the role of the thin ideal in my own belief system and shed light on an important point: an anorexic patient’s body dissatisfaction, drive for thinness, and resistance to weight restoration are symptoms of a serious illness, regardless of her size or weight. And that is something we all need to take into consideration. I feel honored to serve on the Professional Advisory Panel for FEAST, a nonprofit organization which provides support and information to the parents and families of people with eating disorders. Last weekend, I had the privilege of presenting at the second annual FEAST conference in Alexandria, VA. I spoke to a group of parents about understanding and helping their other children while also caring for their eating disordered child. Below are some of the major points from my presentation. •	Through their parents. When a child is ill with an eating disorder, her siblings often receive less attention from their parents. The parents may be physically absent from the home, traveling to faraway treatment centers and attending many different appointments locally. Parents often feel worried, stressed, and irritable, and these emotions can easily spill over into their relationships with their other children. •	By impacting family life. Family meals with an eating disordered person can be tense or explosive. For this reason, siblings may begin to dread family meals or avoid them altogether. Family trips may be cancelled or ruined by the eating disorder. The financial burden of ED treatment impacts the entire family, including siblings. •	Through their social environment. Parents may not be available to drive siblings to their lessons, sports events, and social activities when they are spending long hours preparing and supervising meals and driving the ill sibling to appointments. Siblings may feel embarrassed to invite friends over when their ill sister or brother is acting particularly bizarre. Siblings may have to deal with gossip from friends and neighbors. They may feel conflicted about telling their friends about their family’s situation, and they have to deal with the stigma of mental illness. •	Through the change in eating habits. Parents are encouraged to serve their anorexic children high-calorie foods to restore their weight. Sometimes siblings over-indulge in these foods and gain unneeded weight. •	Through their genes. Biological siblings of eating disorder patients are 10 times more likely to develop an eating disorder compared to the general population. Additionally, siblings of eating disorder patients may inherit genes that predispose them to other psychiatric illnesses, including depression, OCD and other anxiety disorders, substance abuse, ADHD, and autism. Brothers and sisters may experience a variety of emotions while their sibling is ill with an eating disorder. They may worry that their sibling will get sicker or die. They may grieve for the loss of their sibling’s true personality while she is consumed by the illness, and they may miss her terribly if she is away from home for a lengthy hospitalization or residential treatment stay. They may worry about their own risk for developing an eating disorder. They may feel angry at their sibling for putting the family through hell or making mealtimes miserable. They may feel jealous because of all of the attention their ill sibling is getting. Siblings may react by withdrawing from friends and family members, having difficulty at school, or acting out. They may feel sad or hopeless. They may have difficulty concentrating. Very young siblings may manifest their distress through physical symptoms (e.g., tummy aches, trouble sleeping). •	Be frank with siblings about the seriousness of the eating disorder, including the possibility of death. This honesty helps siblings understand why it is so important that the family intervenes immediately and aggressively, and why other activities have to take a back seat for now. •	Be honest with siblings about the reality of dealing with the eating disorder. Acknowledge that, for a period of time, the whole family will be under stress, family life will change, and you may not be able to spend as much time with them. •	Bring siblings to some Family-Based Treatment (FBT) sessions so that the therapist can explain the eating disorder to them, describe the treatment process, answer their questions, and tell them how they can support their ill sister or brother. •	Make a point of scheduling one-on-one time with each sibling and talking with them about their lives apart from the eating disorder. 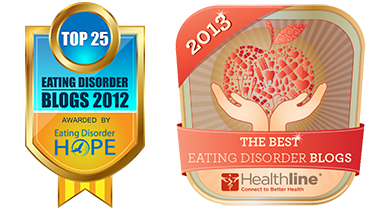 •	Talk with siblings about their feelings and reactions to the eating disorder. Let them know that it is totally normal and understandable for siblings to feel worried, angry, jealous, resentful, or sad in this type of situation. •	Ensure that siblings remain in a support role, rather than taking on a parent’s role. Lock and LeGrange, authors of the FBT manual, call this process “maintaining intergenerational boundaries.” Siblings can help their ill sister by providing her with distraction before, during, and after meals, by being good listeners and providing empathy, and by engaging her in normal sibling activities. Siblings can help by taking over kitchen chores that the eating disordered person is not well enough to do, such as setting the table or doing the dishes. Do not involve siblings in the actual process of re-feeding or supervising meals, as this can put them in a delicate position of being torn between “loyalty” to their ill sister and the responsibility of reporting ED behaviors to their parents. 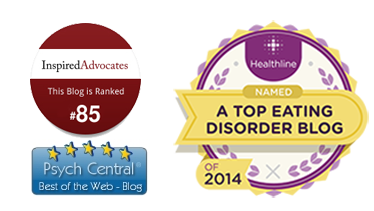 An eating disorder can also impact siblings in a positive way. For example, they may grow closer to their ill sibling and value her more after almost losing her. They may feel needed and important in the process of supporting their ill sister or brother. Siblings may become more aware of EDs and other psychiatric illnesses in their friends and try to intervene whenever they see concerning behaviors. They may have improved body image after witnessing the disturbing body image distress of their ill sibling. Often, siblings benefit from having more frequent family meals and structured eating habits. They may grow and mature from the experience, developing more autonomy when parents’ focus is on the eating disorder treatment. Siblings benefit from strengthened parental unity. If a sibling develops an eating disorder or another illness in the future, their parents tend to intervene immediately and are much more equipped to deal with it.